Home » Future Tech » Networking » IPv6 Launched !!! Trillions of new net addresses now possible. A new standard which will enable the creation of trillions of new web addresses has been enabled. 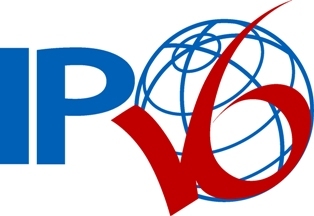 Several companies switched to Internet Protocol version 6 (IPv6) at 00:01 GMT on Wednesday. Companies such as Google, Facebook and major internet service providers have enabled the new system in order to encourage the widespread adoption of the standard. The actions come as part of World IPv6 Launch Day, a special event organised by the Internet Society. IPv6 will eventually replace IPv4, which was conceived during the early days of the internet. It only allows just over four billion unique IP addresses - the sequences of numbers used to identify a device. Each internet-enabled device - such as a computer, tablet or smartphone - needs its own IP address in order to connect to the internet. However, due to the shortage of IP addresses, many devices - such as multiple computers in the one home - have to share addresses, which can often slow down connection speeds. Vint Cerf, early pioneer of the internet and current "chief internet evangelist" for Google, explained in a blog post: "The new, larger IPv6 expands the limit to 2^128 addresses—more than 340 trillion, trillion, trillion! Enough for essentially unlimited growth for the foreseeable future." "Most users shouldn't notice anything," said Leo Vegoda from the Internet Corporation for Assigned Names and Numbers, which manages the Internet address system. "If ordinary Internet users need to know stuff, then the technology isn't right." "The introduction of IPv6 is the IT equivalent of the move from imperial to metric for measurement; the two can run side by side but aren't compatible with each other," explained Mark Lewis, vice president for development for telecommunications firm Interoute. 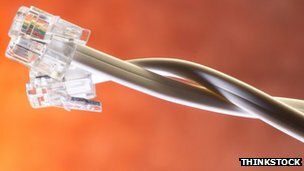 "The introduction of IPv6 will effectively mean that every device, from the mobile phone to the vending machine could become a mole in the office," he said. "This puts the onus on organisations to secure and understand these new internet enabled devices that operate within the office walls."